This week has been a really good week for the kids at Blacks Creek. They've been a lot more successful in their quest to catch critters than they were last week. 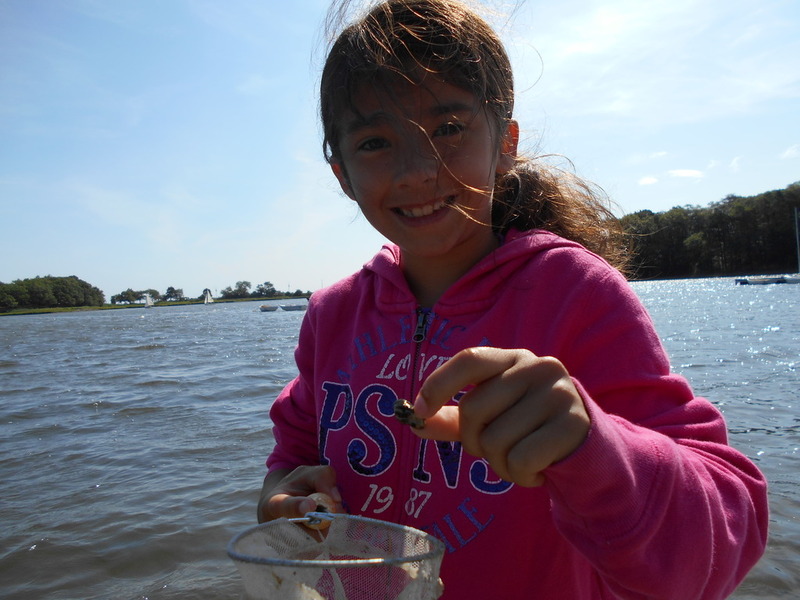 There are minnows a plenty, and every day hermit crabs and sea snails are presented to us counselors as symbols of the kids' hunting prowess. On Wednesday, however, we caught a mussel and used it as bait in the crab trap. After previous unsuccessful attempts to use the crab trap, we weren't expecting much, but we were pleasantly surprised when there turned out to be four crabs that were trapped! They were a lot larger than any of the crabs that we'd found before, with one being about the size of my fist. The kids were so excited to see their hard work pay off. Jane with one of the many animals she has caught. We also found a horseshoe crab, but sadly it was dead. That didn't dampen the kids' excitement, though. It was an excellent opportunity for the kids to ask questions and handle the crab without getting hurt. 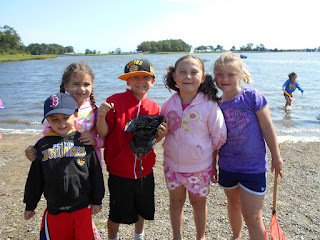 I know I learned a lot about horseshoe crabs this week, and I hope the kids did too. Some of the kids with the horseshoe crab. I hope to have more surprises next week!